As the cloud computing field continues to develop and expand, the potential this technology holds for government agencies increases – a fact that department leaders now widely recognize. Numerous surveys and studies have found that cloud integration efforts are accelerating throughout the federal government, and there's little reason to suspect that this trend will end anytime soon. In fact, a recent report from Microsoft and Forbes Insights found that federal cloud adoption is approaching the "tipping point" as many of the concerns which agency leaders previously harbored around the technology have been overcome with real-world experience, according to CloudTech. "Federal cloud adoption is approaching the 'tipping point.'" However, there are potential pitfalls that agency decision-makers must be wary of as this trend picks up speed. Among the most serious risks is the possibility of deploying an unsecured, inefficient cloud solution. In order to avoid this outcome, the right approach to cloud integration is necessary. With this in mind, Roger Hockenberry, CEO of Cognitio and former CTO for the National Clandestine Services of the Central Intelligence Agency, emphasized to CTO vision contributor Matt Southmayd the need for government executives to focus on the reasons for embracing the cloud before taking any other steps. This doesn't mean that the cloud isn't a good fit for some, or even any, government agencies. Rather, the point is that these organizations shouldn't pursue the cloud simply because it is becoming increasingly popular to do so. There needs to be a fully understood rationale behind these plans. Hockenberry went on to highlight a number of the most compelling arguments in favor of cloud integration among federal agencies. Notably, he pointed out that the cloud can deliver economies of scale and greater efficiency opportunities for engineering efforts. There are also financial benefits, as operation and management expenses are decreased through the cloud's automation capabilities. Finally, Hockenberry noted that among the most noteworthy value that a cloud solution offers for an agency is reduced cycle time. He pointed out that cloud services free up personnel to focus on more important, high-value projects. "Cloud is about shedding commodity process and cost and focusing on driving mission value and services to citizens," he told the author. Once an agency has determined with certainty that the cloud is a good fit for any given IT need, the next step is figuring out how exactly to approach deployment. There are a number of missteps that departments must avoid, Hockenberry told Southmayd. "I've seen a number of agencies open the floodgates and allow everyone to simply 'run' to the cloud. This doesn't work," he explained. This approach will often lead to unforeseen costs, which can even make the cloud less financially beneficial than an on-site IT. 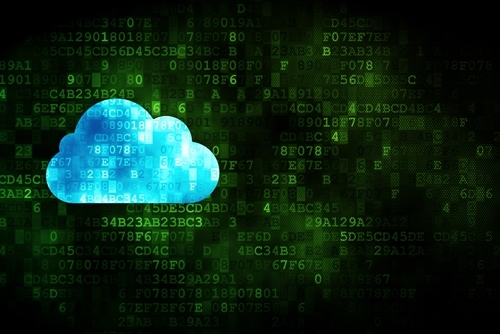 "Agencies must develop concrete, detailed cloud implementation plans." To avoid such an outcome, Hockenberry explained, agencies must first develop concrete, detailed plans which address issues such as which cloud services to embrace, whether to go for a public, private or hybrid approach and who will run and manage the cloud environment. If any of these factors go unaddressed initially, there is a very high likelihood that the cloud will produce disappointing results. Even worse, a lack of planning here may create vulnerabilities, opening up the possibility of a data breach. At first glance, it may seem difficult for agencies to meet these criteria. The cloud is still a relatively new technology, and most departments' IT staff will have limited experience with cloud computing. However, organizations can overcome this issue by working closely with a IT consulting services provider that specializes in both cloud integration and government IT.